Genetic diseases, non-genetic diseases, stress, lifestyles and hormonal changes cause hair loss in human population. Although losing strands on top of your head poses no life-threatening situation but it does cause more stress, embarrassment, depression as well as hurting the self-esteem to the sufferer. The good news is that there are styling tricks one can use while waiting out any temporary losses or while you work with your dermatologist search for a long-term solution. A straightforward solution to cover up balding spot is to choose a hairstyle that is suitable and capable for coverage. You can choose haircut that makes the most of what you have and gives you the appearance of more volume. If you are having your hair long and you are experiencing hair thinning problem, it is time to chop them off as long strands, without proper care, can stress and drag down the hair, causing it to fall off easily. 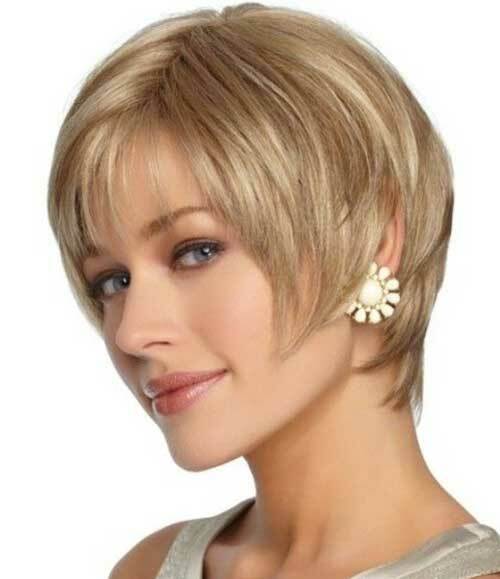 An extra short pixie cut is very fashionable and can disguise your thinning hair perfectly. 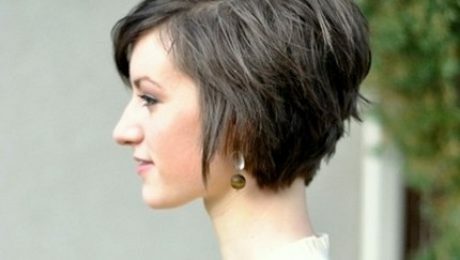 A layered bob cut could also cover up your balding spot by providing a lot of bouncy volumes. If you insist on keeping long hair, then try some styling techniques such as side braids, low ponytail or a top knot, whichever would best cover your thinning area. You can also change your haircut by doing small simple alteration such as getting some bangs or getting an asymmetry ending cut, which works well to camouflage and draw attention away from undesirable area. If you are still indecisive about a haircut, you can always throw a casual, tousled hairstyle before going out as tousled texture is a great trick for preventing “peek-a-boo” scalp and giving your hair more volume. Using the right hair products might bring you back your hair thickness. There are dry shampoos, fine mist, root booster, volumizing mousse, volumizing spray, finishing spray and other products available in the market that can give your hair a lift and provide the appearance of greater thickness. These products offer strategic volume which is essential to hide thinning area and give the illustration of healthy hair. The secret to truly voluminous hair is to choose lightweight products that do not weigh hair down. Styling mousse has the airy formula that provides featherweight hold and creates gorgeous body. Root booster helps to maintain volume at hair roots. 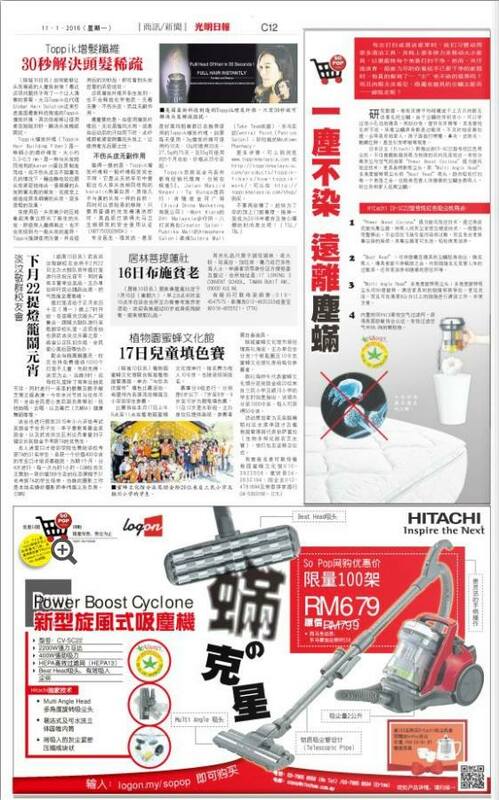 The root booster need to be sprayed directly on the roots to lift up the hair from root level. A good volumizing spray support the roots and thicken the diameter of each individual hair strand without causing hair to feel sticky or stiff. After styling each hairstyle, it is best to apply a finishing hairspray that provides hair hold without weight or stiffness.Toppik offer a good range of hair loss treatment and hair volumizing product such as toppik hair building shampoo, toppik hair building conditioner ,toppik hair fattener and toppik root volumizing dry shampoo. Root Cover-Up and Hair Building Fibres can be very useful at most stages of hair thinning. Root cover up is a brush-on colour powder that is used to fill in the gaps among hair root. This product usually has tenacious camouflaging abilities and will not drip in sweat. Hair Building Fibres is another type of powdered product that adds thickness both at the roots and at the shaft by lacing in keratin fibres. These fibres come in a wide range of natural hair colour and will do a good job for all hair types including ethnic hair. Toppik Hair Building Fibres are made of Keratin protein that originated from a natural wool source, which is the closest match to human hair. 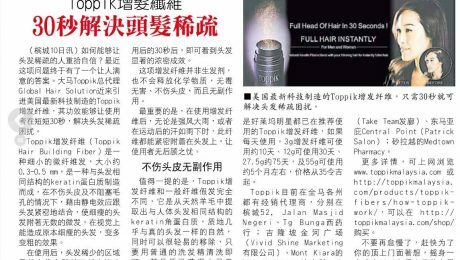 Learn more about how Toppik Hair Building Fibres work and how it stands apart from the rest at www.toppikmalaysia.com. Many people would think extensions can be the answer to disguising hair loss but in reality, clip-in and glue on extensions are causing more stress and damage to the remaining hair. The best solution to wear artificial hair on a head with thinning hair and hair loss problem would be using a Hair Fall. A Hair Fall is a type of artificial hair that wraps around your head like a veil that you wear underneath a layer of your own hair. It hugs the scalp gently and go around the head like a halo. It is brilliant in ensuring minimal stress and damage done to your existing hair. It does not pull at any roots and they blend in naturally with your own hair, make styling a breeze. 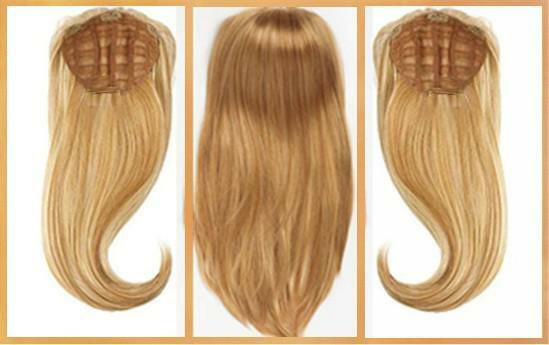 Halo Couture is a recommended place to get this type of Hair Fall. They even provide a Halo ponytail piece that wraps around your ponytail. Without taking medications and going for surgeries, you can still hide your balding hair and grow your self-confidence by just trying out these four styling tricks. These tricks work wonder for many and will do great change on your hair. 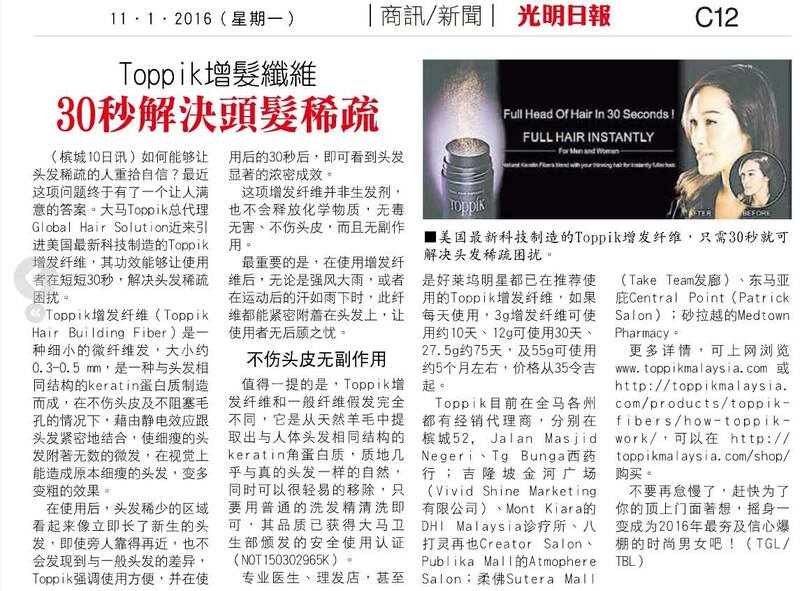 To know more about Toppik Hair Building Fibres , look for more stories at www.toppikmalaysia.com/blog and www.toppikmalaysia.com/shop. Hair shapes human physical appearances. It became a feature that people are obsessed with and are willing to put in effort and money to enhance it. Salons are appearing like mushrooms after rain in every corner in the country. Uncountable individuals are making a living by becoming barber, hairdresser and hair specialists. A lot of people are doing sales for hair products too. Hair products just keep on increasing since there is an ever-growing market for these products. Although people generally spend a lot of time caring and grooming their hair, not many of them are aware of the true image of hair under the microscope. 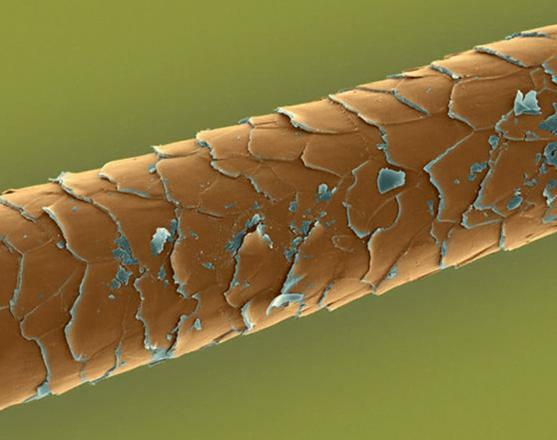 Figure 1 The image of a hair shaft enlarged under an electron microscope. 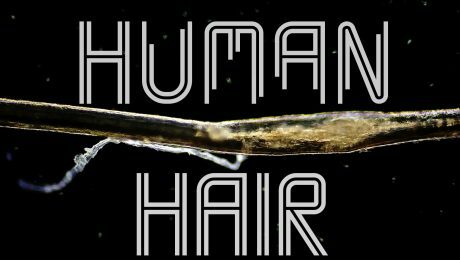 Typical human hair consists of the follicle and a shaft. A follicle or fondly known as the hair bulb is a structure beneath the skin of actively growing cells which eventually produce hair (hair shaft). Cells continually divide in the lower part of the bulb. The rapid divisions of cells at the base of the follicle pushed upward forming hair shaft as they harden and undergo pigmentation. The shaft are dead tissues protruding above the skin and composed of three layers, namely the medulla, cortex and the cuticle. Figure 2 The cross-section showing three main components of a hair shaft. Cuticle is the transparent outermost layer. It’s made of scales that overlap each other with the free ends of the scales directed toward the tip of the shaft. The scaly cuticle is to protect the inner layers of the hair. 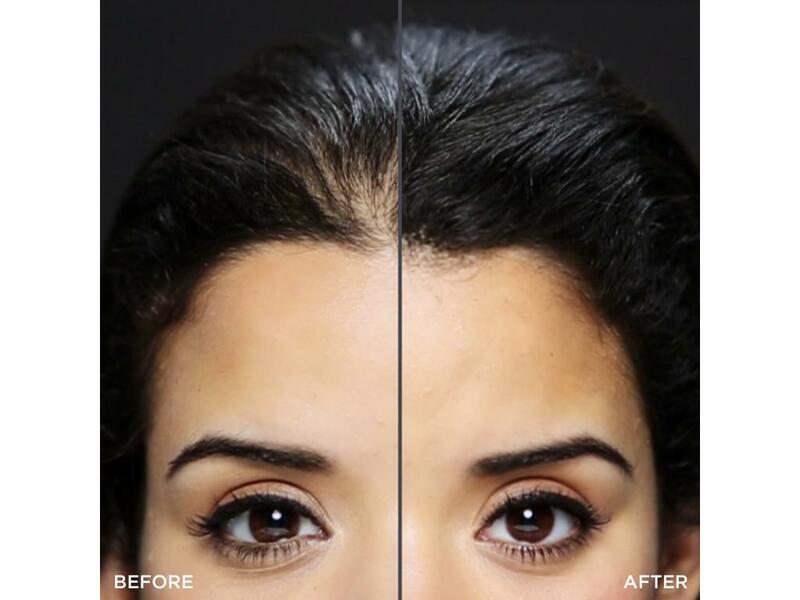 This delicate protective layer minimizes the movement of water in and out of the underlying cortex as well as holding the whole hair structure together. In a healthy condition, the cuticle will be smooth, shiny and intact. However, prolonged exposure to chemical, pollutions and harsh weather can lift the cuticle and disrupt this balance. As shown in the pictures above, when the cuticle layer is perfectly closed, hair looks glossy and doesn’t tend to tangle or break. When a cuticle scales are raised or wide open, the scaly hair strands will rub against each other causing tangles. To avoid this, we should protect hair under harsh weather by wearing hats or using umbrellas, we should avoid chemical ingredients in hair care and we should minimize the usage of hot styling tools, and other product or treatments that is harmful to the hair. 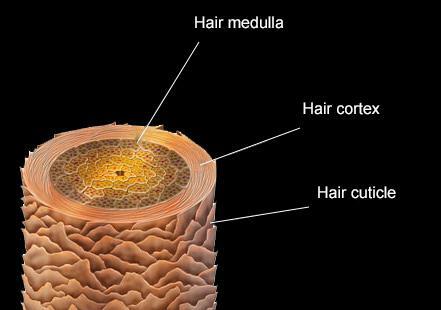 The layer just beneath the cuticle is the cortex which is also the largest part of the hair shaft, forms the main bulk of hair. The cortex consists of long keratin filaments and consisted of compact, elongated cells and it is the part of the hair that contains pigment granules that give hair its colour. Pigment distribution varies from shaft to shaft, which sometimes causes uneven hair colour distribution. The health of the cortex depends largely on the integrity of the cuticle protecting it. 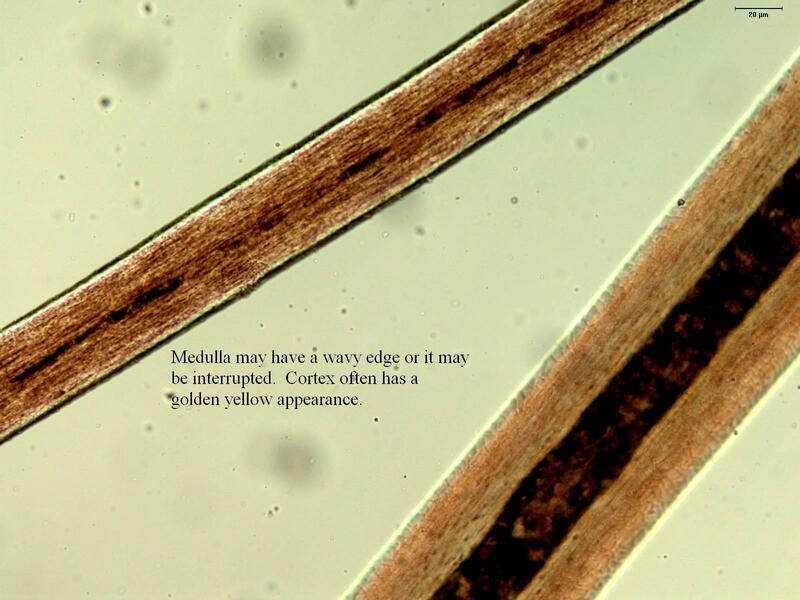 The central core of a hair shaft is the medulla but this component is not always present, especially in hairs with a thinner diameter. If present, it consists of a thin core of transparent cells and composed largely of air spaces as it often appears to be a hollow tube. However, this hollow tube could be filled with cells in fragmented form, continuous or even double. The medulla can contain pigment granules or unpigmented. 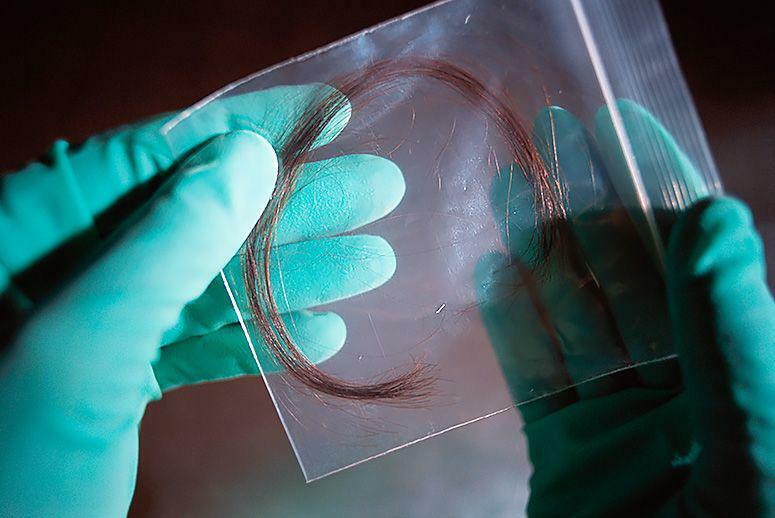 Using a single hair shaft, forensic scientist could find out many information of an individual including collecting DNA for identification purpose, testing for drugs or nutritional deficiencies in their body system. Since we know aware of how hair under the microscope looks like. It is easier to illustrate the mechanism of hair keratin fibres that that is popularly used to enhance the cosmetic value of hair. The premium keratin in Toppik Hair Fibres is nearly identical to human hair, allowing the fibres to blend naturally and undetectably. 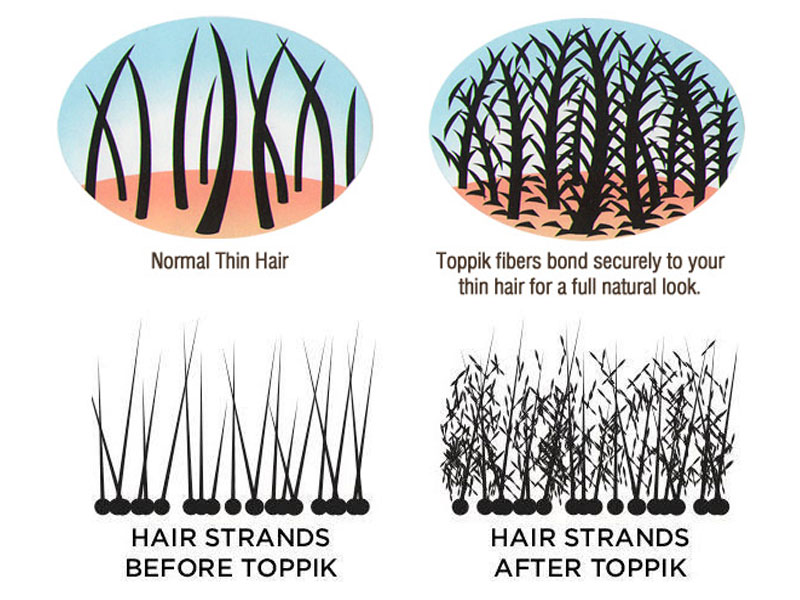 The natural Keratin used by Toppik has an innate static charge that ensures their fibres adhere to each hair shaft regardless of any hair type. Toppik’s innovative technology allows the fibers to resist wind, rain and perspiration while filling in all the thinning area and balding spots on the head. Read more about it on www.toppikmalaysia.com/blog and www.toppikmalaysia.com. 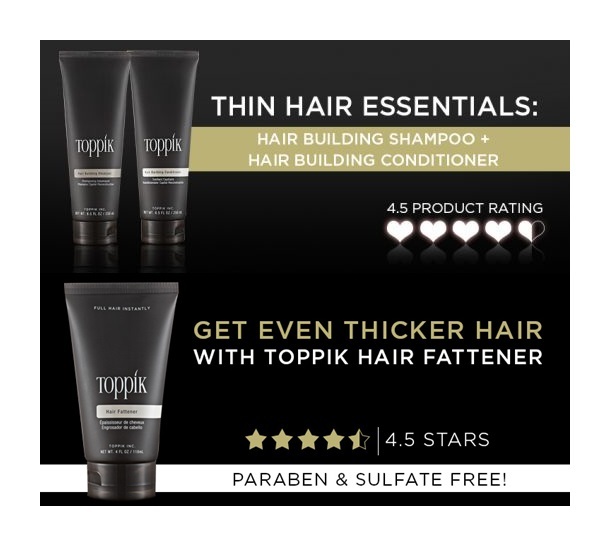 If you are interested to purchase or to learn more about Toppik products, do feel free to log on www.toppikmalaysia.com/shop to get your hands on the best product for your hair.